A close relative of the dragon, these easterns have been blessed and shaped by the god of Sun and Moon, and have appearances, abilities, and customs unique to each Family. They dwell under the ocean, in the Felnovian country of Yorije. Location Found:: Felnova; the country of Yorije. Families There are five major Families in Yorije; the Family of Whiteshark, Family of Starwhal, Family of Pearl, Family of Kingfisher, and Family of Firewaters. Each have territory either above or below the surface of the ocean, and each have distinct personalities. The Court of the Isle is made of representatives of four of the Families; the Firewaters were banished five thousand years ago. Calypso A title as much as a name, Calypso is the reigning monarch of Yorije. There is much legend and mysticism surrounding this position; for example, she is believed to be bonded to Lyfe, or Saoyan (this means 'new moon'; the former god, Zacyn, was called Kyoyan, or 'father moon'). Calypso is chosen when the current queen nears the end of her life, born from a black pearl marked with a white crescent. She may be of any clan, and once born, the crescent mark transfers to the underside of her claw. She is brought to the Isle of Djomwhetta, given the title Daughter of Yorije, and proceeds to study under the present Calypso until such a time as she assumes the mantle herself. The next Calypso cannot resist her calling; it will sing to her across the ocean, growing stronger and stronger until she can resist no longer. However, the Daughter of Yorije cannot claim her position as Calypso until the former queen has passed into the Spirit Realm and she herself succeeds in the Ascension - the bonding ceremony to Saoyan. Calypso can take no mates and is directly linked to the health of her kingdom and her god. If either suffers, so will she, and vice versa. the Black Guard Born from pearls of flawless black, the Black Guard are the sworn defenders of the Court. Like Calypso, they are all female, although they may take any male they wish as a mate, and rarely bond. It is the duty of all Families to raise a black pearl hatchling up until five years of age, whereupon they are given to the Black Guard on the Isle of Djomwhetta and taught the secrets of their kind. The Black Guard will live at the Isle until their deaths, are not permitted to mother any hatchlings (they are charged to the Family from which the Black Guardian came from), and swear total obedience to Calypso and Saoyan for the duration of their lives. A Daughter of Yorije will always be born from a black pearl. The leader of the Black Guard is Calypso, next being the Daughter of Yorije or, in her absence, a leader chosen by Calypso. This leadership can be revoked at any time. Patriarchs and Territories The Family of Whiteshark is ruled by a male, as are all of the Families. The current patriarch is Syaba. He controls the lands extending from the Forktooth Reef to the Isle of Djomwhetta; southward to Niona's Plateau; northward to Icemark; and eastward to the open waters. - The current patriarch of the Starwhal Family is Jiordan, and father of the current Calypso. - The current patriarch of the Family of Kingfisher is Ketchly; his territory includes the Shoalands and seas north and south of the Isle of Djomwhetta. The current patriarch of the Pearl Family is Yhonda. He governs the Isle of Solariel as well as the Lesser and Greater Ridge Reefs. - Nothing is known about the current Firewater patriarch. Pearls The order of the Court - and indeed, life of the dragons in general - is centred around pearls. Dragons are born from pearls, typically of the white variety, and they are born possessing one of their own (usually clutched in the foreclaws). A Yorijian dragon will carry this pearl for his or her entire life, until such a time as they mate to give birth. During the mating ritual, the two pearls of the male and female are fused into one. This only occurs during a mating for which birth is intended; otherwise, the pearls remain separate. - The pearl is the egg. The color of the pearl will always be white upon the conclusion of the mating ritual; at the end of several days, the pearl will turn either yellow (Pearl Family) or black (any Family). In the case of a Black Guard or Daughter of Yorije birth, they are born without pearls. 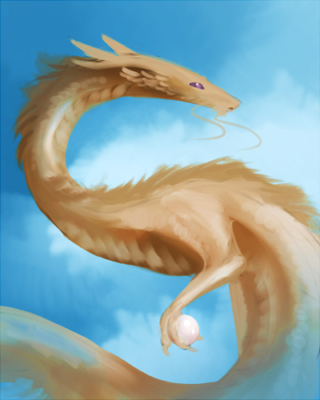 - In this way, Yorijian dragons can only have one clutch, although sets of triplets or quadruplets hatched from the same egg are extremely common, and those that have fathered or mothered a hatchling give up their pearl in the process. A Yorijian will always lose something vital in the loss of their pearl, usually their affinity for magic. Because of this, consenting to a true mating ritual is considered a great sacrifice, and so the number of new Yorijian hatchlings is not often large. The loss is particularly great for dragons of the Pearl Family, however due to the likelihood of birthing a Daughter of Yorije the risk is usually acceptable. - Destroying a pearl is considered a terrible crime punishable by death as administered by the victimized Family, since it guarantees a loss of life. Pearls cannot be used as currency or trade by Yorijian dragons, and any commoners found in the possession of a pearl will be slain immediately. Rituals Because Yorije is largely isolated from the other kingdoms, it has developed its own rituals and customs that focus mainly around pearls, and the ties between the Yorijian dragons and the gods. A full list of Yorijian dragon rituals is linked at the top of this section. Species info credited to Darkeh and Blazeh/Verridith. Appearance Oriental in appearance, the general profile of a Yorijian Court dragon is that of a long, snakelike creature with four legs, no wings, and long feelers extending from the snout. Generally length from head to tail is thirty to forty feet for a female, thirty-five to fifty feet for a male. Below are specific descriptions for each Family. Whiteshark: Scales are triangular and of neutral or light colors, overlapping in such a way that they are smooth against the palm when flowing with the body and sharp and razorlike when brushed against. Five-talon claws are webbed for extra manueverability in the water, long and scythelike to better grasp prey. Whiteshark are larger than most, with the average female around forty feet long and males on average at fifty feet. They are characterized by a high dorsal fin midway along their back and long tails with bladelike fins (much like a great white shark). Additionally, they possess two rows of teeth that curve inward to create a deadly bite, and their feelers are flat and thin as paper, extending for about a quarter of their body length. These feelers are super sensitive to blood in the water and capable of sensing it for distances of up to ten miles. Starwhal: Scales are rounded and of deep and vibrant colors, such as maroon or violet. Starwhals are quite large, the average female being around fifty feet and males at sixty to sixty-five ft. They are characterized by five-clawed clear talons and ribbonlike fins that run along the length of their bodies, as well as large, sail-like fins at the ends of their tails that allow steady cruising speed while swimming large distances. The tendrils on their bodies tend to be quite long, as much as half their body length, and tipped with delicate decorative fins. They are sensitive to varying pressures in the surrounding ocean and can sense ocean currents, tides, and impending motion of the water due to storms. In addition, Starwhals possess shapeshifting abilities, their various qualities transitioning into different forms. For example, the colors of a particular Starwhal will remain the same no matter what they transform into, although they may manifest themselves in any form. Kingfisher: Because Kingfishers are more suited to life above the sea rather than in it, they have feathers instead of scales. These feathers have barbs that lock together in a slick second skin when diving underwater. Though they are usually of a neutral color, Kingfishers are well known for their love of dyes, and will often have lurid colors painted onto their body from powdered shells and rocks found in abundance on the Shoalands. Sizes are quite small, with females ranging from twenty-five to thirty feet and males rarely over forty. Kingfishers also have markedly longer talons with slight hooks at the end for grasping fish, and the feelers extending from their snout tend to be short and thick, able to sort through the confusing impact of dives from high altitudes and keep the dragon's attention focused on prey, as well as provide orientation up and down. In addition, Kingfishers have long antler-like horns and occasionally manes. Pearl: Pearls are lovers of the shallow sea, and the bay in their island provides all the ocean they need. Tending towards very pale colors, their scales are minute and fit together like a puzzle. Their scales are very thin to better absorb the warmth of day, which also charges their power. Females range in size from forty to fifty feet and males forty to sixty-five feet. The third and final group of five-claws talon dragons, they do not possess any strong hunting capabilities but prefer to target shoals of fish, using their magic if necessary to draw out prey. Pearls have large, thin, lacy fins and a second set of tendrils off the tips of their ears that end in decorative feathers. Their legs tend to be quite long and muscular, to better walk around the island. Firewaters: Triangular scales like the Whiteshark, although they fit together in such a way as to avoid the smooth/razor skin. Firewaters tend towards darker colors, though never the pure black of the Black Guard. They have four talons, like the Kingfishers, and the pads of their claws are rough and thick so to dig dwelling caves out of the rock. Thick hides protect them from constant heat and, unlike their brethren, they do not possess the tendrils common to Yorijian dragons, nor do they possess more than the most basic of fins along their tails and backs. Instead, the Firewaters are better suited to climbing and digging in amongst their volcanic homes. No one knows their food sources. They are said to breathe fire that can burn even in water. Black Guard: In addition to the various features of their Family, the Black Guard are purest, flawless black, though manes and fins may vary in color. Over time, the distinct features of their heritage will fade, reshaping scales into long, slender pieces that fit together like thread, harder than rock; talons will grow longer and darken in color; fins on the tail and back will diminish into sharp, bladelike shapes; decorative features will darken and fall away. Culture The Families of the Yorijian dragons are all unique. Their tactics, cultures and common traits are explained below. Whiteshark: Proud, arrogant, and hunters, the Whitesharks are named for their Family's legendary animal. Whitesharks are a rare species of shark that are, as you guessed, entirely colorless. However, they are not albinos. These sharks are known to be vicious and deadly hunters, preferring depths devoid of sunlight (this is believed to be the reason for their coloring) though they emerge to feed on occasion. The whitesharks are approximately fifty-foot monsters and are highly regarded as the perfect predator, superseded only by the legendary Leviathan. Much like their name, the Family of Whitesharks believe wholeheartedly in predator and prey. They train from birth to be the finest hunters in the ocean, and are uniquely gifted with abilities to scent blood in the water from miles away, as well as double rows of teeth and rough scales with the same razorlike quality of sharkskin. Starwhal: The Starwhals are nomads with no particular territory. Their associated animal is also rare, and are the largest whale-like creatures in the ocean at a tottering hundred and fifty feet in length. Some have been noted at even two hundred. These enormous whales are surprisingly fast, covering thousands of miles in a week or two of swimming, and eat mostly small fish and krill and, unexpectedly, jellyfish, being immune to the latter's sting. They are typically grey, except for splashes of color along their backs and fins much like 'stars', hence their name. The Starwhal Family shares a number of traits with their sacred animal, most notable being that of constant travel. The Starwhals are very few in number and traditionally welcome everywhere in Yorije, though they never linger. Much of this Family is unknown, as they do not share their secrets easily. What can be verified is that they often travel to Icemark and the open waters, perhaps visiting other continents, and are usually possessed of colors uncommon to the other Families. Kingfisher: Lighthearted, carefree, and frivolous, the Family of Kingfisher are unique in that they can both fly and swim - though it is no secret that they prefer the sky to the ocean. The Kingfisher for which they are named is not the one we are familiar with, but rather a term for a seabird specially adapted to hunting to depths of fifty feet. Gifted with preternatural eyesight and feathers that slick to the body when underwater, the Kingfisher is further aided by a long, bladelike beak and serrated talons for gripping. It has been known to plunder other birds' nests for food, chase away or kill the parents, and use the nest for itself rather than build a new one. The Family of Kingfisher are seen as rather hedonistic by the rest of the Yorijian kingdom. They often push for action and are usually at the center of court disputes, but dislike combat and will avoid fighting wherever possible. Their gifts for flying make them great weather watchers and their duties include spreading news of hurricanes or typhoons that could cause devastation if left unchecked. Unfortunately, these don't occur often enough to keep the Family of Kingfisher very busy, so they indulge in many other pleasures in the meantime, causing no end of trouble. Pearl: The Family of Pearl are aristocrats. Most possess a yellow pearl, marking their membership of the Family, that possesses varying degrees of power. Unlike the normal white pearls of other dragons (whose limited strength vary with the moon), the basis for power of the Pearl Family lies in the sun. Gifted mages all, the origin of the Pearl Family is said to lie in a true union between an ancient Calypso and Kyoyan, giving birth to a dragon with unusual magical tendencies and an affinity for the sun, the other half of the God's power. This bloodline of Calypso has never been confirmed, although it is true that the majority of the Daughters of Yorije have been born from the Family of Pearl, as well as a large number of the Black Guard. Firewaters: Banished five thousand years prior, the facts on the Firewaters are hazy. They are swathed in as much mystery as the Black Guard - not much is known of their culture or rituals. It is known that the origin of their name lies in a chain of undersea volcanoes to the southwest of the Isle of Djomwhetta, beginning directly across the Driegard Crevasse. Whiteshark: Gifted with the ability to scent blood in the water from miles away; able to reach depths that most dragons - Yorijian or not - can't hope to reach. Starwhal: The Starwhal Family possesses a unique form of the shifting gene; they make take whatever form they wish, though their coloration will always remain the same. Kingfisher: Unlike most sea-dwelling Yorijian dragons, the Kingfishers are gifted with the ability to fly. Pearl: Strength and power are governed by the sun instead of the moon; much like a Solar dragon, the Family of the Pearl's magical affinities wax and wane with the light of day. Firewaters: Gifted the unique ability to breathe fire underwater; a fire that will burn, wet or not, beneath the waves. Black Guard: The Black Guard are swathed in mystery. It is believed that those born of the black pearls have gifts from all of the Families; they have incredible powers linked to the moon, counterbalancing the Family of Pearl; they can fly like the Family of Kingfisher; they have unerring hunting and fighting capabilities like the Family of Whiteshark; they can shapeshift like the Family of Starwhal; and they can breathe fire that can burn in water, as the Family of Firewaters are said to do. In addition to these blessings, a Black Guardian also arrives with elementary knowledge of their Family and the secrets therein. Creation Year: 2530. Realm of Origin: Felnova. Zacyn had often gazed down upon the oceans from a perch high in the heavens, marveling at how the seas often shined with light reflected from the night sky. Moon and stars seemed to sparkle in the depths of the water, though they twinkled and danced in their own unique way. Wanting to admire the starry waters more closely, Zacyn left the heavens above, and secluded himself on a remote island, which he named Djomwhetta, and spent many nights just gazing out over the glittering waters. It was during this time that he found a pearl, glittering in the shallow waters by the shore. Pure black it was, save for a gleaming white crescent moon mark upon its surface. Intrigued, he picked it up, and for a long while simply gazed at it. The sun rose, and set, and still Zacyn sat unmoving, caught up in a vision of what could be. His eyes were fixed upon the pearl, but he saw a proud nation of dragons, a reflection of his glittering domain reflected in the ocean. Awakening from his trance, Zacyn set to work, creating a new dragon unlike any that had ever lived. He took a simple sea-serpent, foam from the sea, water from the depths, a swirling, salty sea breeze, stardust, and a drop of blackest night, combining them all into a long, sinuous dragoness with small scales of a deep blue-black shade. He named her Calypso, and spent many days and nights with her upon Djomwhetta, bestowing upon her as a gift the crescent-marked pearl he had found, to show the deep bond they shared. She would keep this pearl close all her life. After a time, he gathered five more pearls, one a very pale yellow, one a rich violet, one a pure white, one a soft pale blue, and one a fiery red. The pale yellow pearl was bestowed upon the first Whiteshark, a proud, powerful hunter. The rich violet pearl was bestowed upon the first Starwhal, a speedy, agile swimmer. The pearl of pure white was bestowed upon the fist Kingfisher, an agile, feathered flyer. The pale blue pearl was bestowed upon the first Pearl, a who drew his power from the sun. And the fiery red pearl was bestowed upon the first Firewaters, a dark-scaled hunter of the depths. Thus were created the first Patriarchs. Zacyn decreed that the Patriarchs would each govern their separate families, and to that end did he create more, so that the five Families were each a small nation unto themselves. Each Patriarch would, in turn, swear loyalty to Calypso, who would be mother to them all, as Zacyn was their father. When they swore their undying loyalty to their new queen, their pearls faded to near-total white, with only the barest hints of their original shades. More time passed, and Zacyn began to worry about his creations. The seas were dangerous, and he couldn’t stay on Djomwhetta forever. So he took from each Family some of the strongest females of their number, and gave them hardened scales of deepest black, sharp talons, and bladelike fins. These he named the Black Guard, and entrusted them with Calypso’s safety. 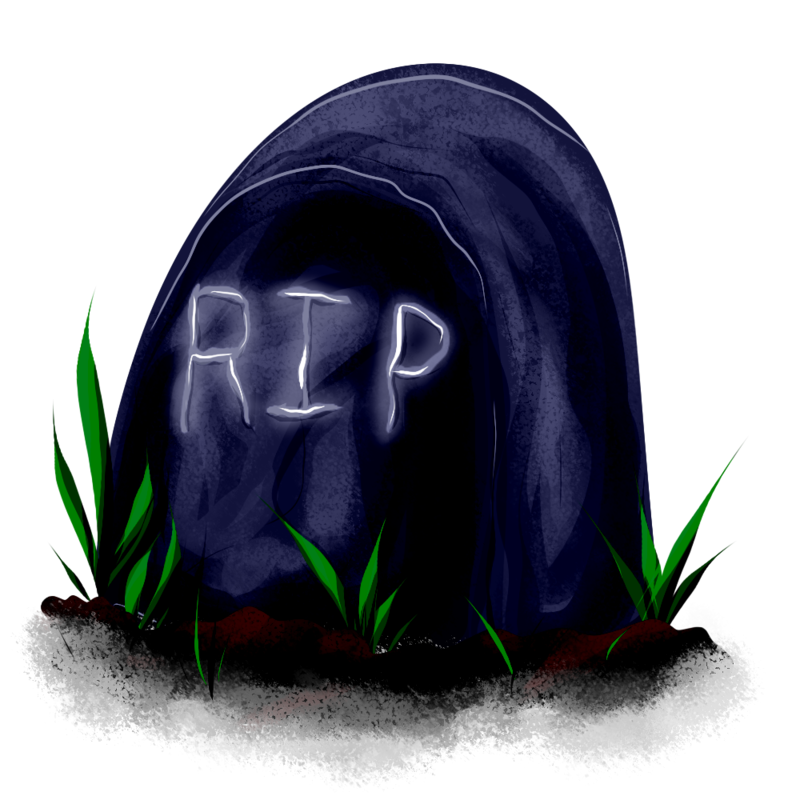 His final act before returning to the heavens was to christen his new creations Yorijians, and their domain Yorije. He also decreed that their ruler would always be Calypso, with a new queen taking up the mantle of the old, and undergoing Ascension to take up the bond between herself and Zacyn, Kyoyan in their tongue. He would be the only king they would ever have, just as Calypso would be their only queen. After he returned to the heavens, Zacyn would often watch over Yorije from above, seeing the light of the moon and stars reflected in the seas his creations called home, relishing the deep, personal connection he shared with Calypso. As he had promised, when it was time for a new queen to ascend to the throne of Yorije, he appeared to her, and thus was a new Calypso chosen to lead her people. And so would it be for as long as Yorije endures. This Ancient First was a Yorijian dragon of a black so deep that, at times, it shimmered blue. A creature of such grace that her movement often bespelled lesser creatures fortunate enough to see her, she was nevertheless a reflection of her beloved ocean; at times so sweet and calm as to draw tears, at others a tempest of rage smashing the weak to pieces. Soul-bound to Zacyn, she saw her creator as the sky to her water, and there was never a more devoted lover than she.